We all know that heat comes with summer. It is always nice to have a yummy cold beverage during the heat waves. 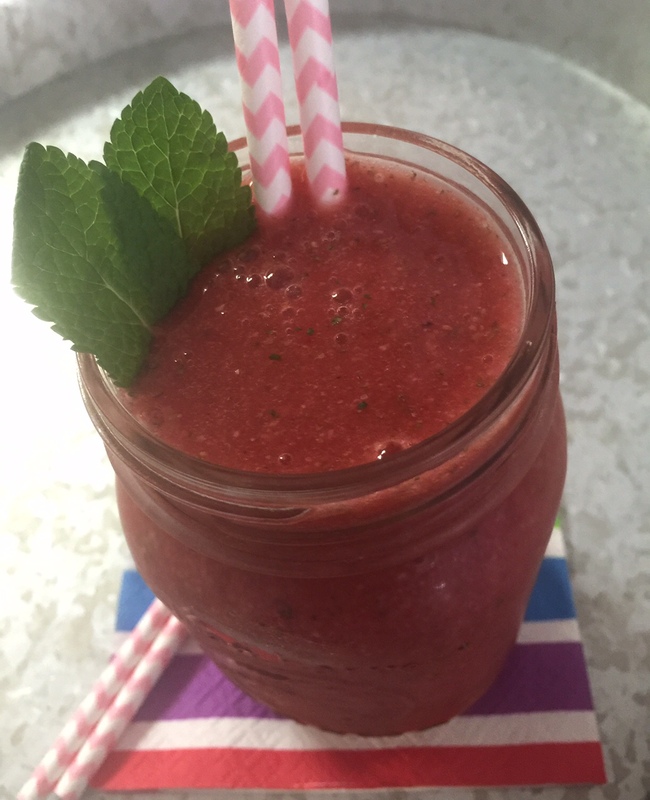 I love smoothies and I learned that watermelon and mint have a cooling effect so they would be perfect to help you cool down. Smoothies do not always have to consist of milk or yogurt. I like making them with tea also. 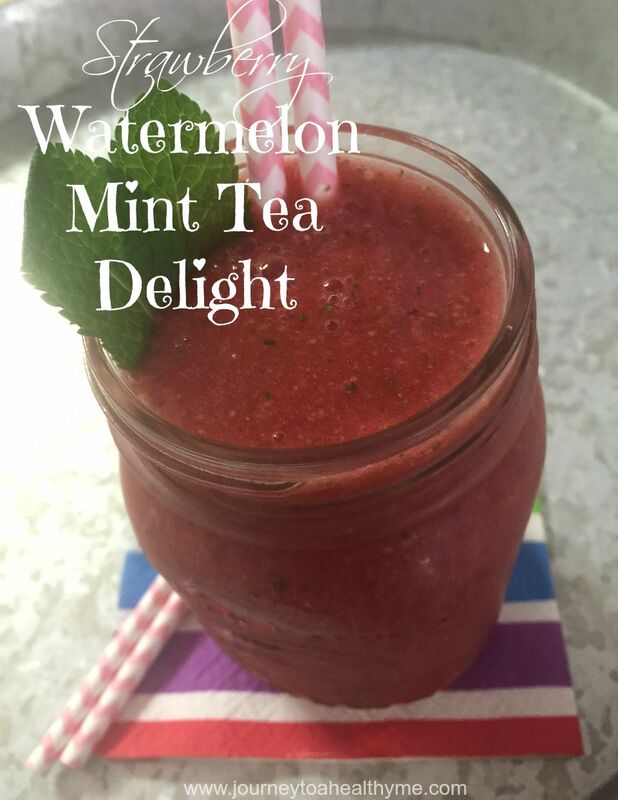 Here is a strawberry watermelon mint tea delight smoothie that I like to drink to give my body some great nutrients and to help cool off on a hot day. My kids love it also. I add all of the ingredients together in the blender and mix until I get the consistency that I want. Pour in a glass, cup, or jar of choice and top off with a couple of mint leaves. Cheers to the summer while cooling off! !